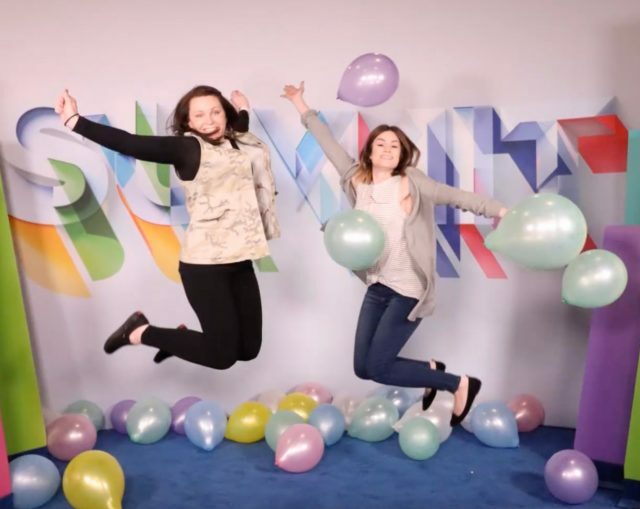 Two Fingerpainters, Tiffany Laboy from creative and Kim Denker from digital strategy, recently attended the 2019 Adobe Summit in Las Vegas. They shared a short recap of their biggest takeaways from the event. 2. What was the most innovative thing you saw, or learned about, at the event? Tiffany:Using location tracking to automate augmented reality in advertising. When you enter a specific zone, you can use your phone to see, explore, and purchase deals nearby through your device. Kim:My primary focus at the Adobe Summit was to attend the Marketo sessions to learn more about the future of the platform as the Marketo/Adobe union moves into the future. One exciting upcoming feature that was presented was the ability to edit images directly within Marketo. Currently, if you need to modify or alter an image in any way, it needs to be done outside of Marketo and then re-imported back into the system. With this new functionality, users will be able to crop, resize, add filters to, and generally adjust the display settings of any and all images used in Marketo emails, landing pages, etc. There was also talk of integrated image search capabilities in the future. 3. In your opinion, what were 3 most talked about trends during the summit? Tiffany:Adobe Sensei and how to use it across Adobe products to improve performance, AR, Marketo, and automation. 1. Artificial intelligence, including predictive functionality, filters, and analytics. 2. B2E (business to everyone): Marketing with Marketo/Adobe shouldn’t be precisely defined as either B2B or B2C, it should be B2E! 3. Marketo Sky: The user interface, as well as the functionality and overall platform capabilities, is getting a nice overhaul as well! 4. Tell us about the best session you attended and what made it stand out. Tiffany:“Creatives Are From Mars, Marketers Are From Venus.” I loved this one because we always think of the client/agency relationship, but we don’t always focus on the internal working relationships. This session broke down a lot of walls that limit our conversations and hold us in silos rather than reaching the potential we are all striving for. Whether it is the client, the agency, the strategy team, or the account team, we are all accountable and all striving for great things. I was able to take away some key ideas on how to strengthen our team as a whole and take it to the next level. Kim:The best session I attended discussed all of the enhancements and functionality updates of Marketo Sky, presented by the Adobe Product Management team. However, since I already touched on that as one of the trends above, another session that I really loved was called “Making the Most of Your A/B Testing With Marketo,” presented by Jessica Kao. This session gave great real-life examples, showed common pitfalls to avoid, and provided actionable takeaways around improving the way email A/B tests are performed and analyzed. 5. What was your biggest professional takeaway from the summit? Tiffany:The summit was not a gathering of companies as competition but a gathering of like-minded people who are working as a people and striving to make the world easier and connect our ecosystem with their needs. The Adobe Summit was a great overview of all of the ways we can improve performance as a whole. Kim:I left the Adobe Summit feeling hopeful about the future of Marketo. Adobe appears to be committed to enhancing and expanding Marketo’s functionality as the partnership grows, so I’m excited about what the future will bring. While I will miss the more personal feel of the standalone Marketo Summit events (the Adobe Summit had 17,000+ attendees this year—Marketo Summit was barely one-third of that! ), it was interesting to have some visibility into the other Adobe products that I may not have previously been aware of.